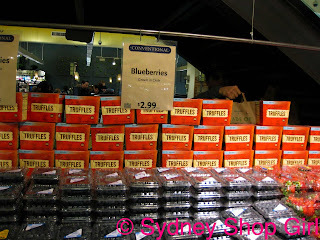 Sydney Shop Girl: Peace, Money and Berries. 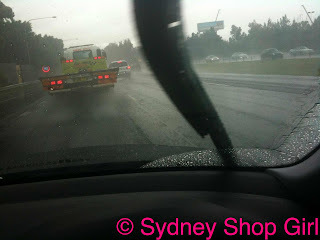 It's certainly been four seasons in one day in Sydney today. We started the day with pouring rain and little coolness in the air. I did a test drive to my new work this morning, to simulate peak hour conditions. I had my little timer next to me in the car so that I could record the time it took with various routes. Which was a great idea, except I got lost. So lost I managed to visit many of the neighbouring suburbs in my travels. I do know where all the closest petrol stations, McCafes and Officeworks are though. I'm looking at it as necessary ground work. 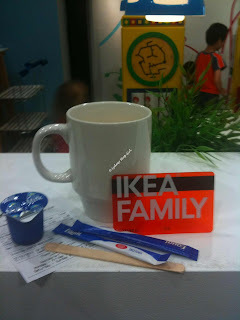 After my round trip, I decided to stop, rest and revive at Ikea. I drove past so many variable message signs imploring me to do this, I really had no choice. Ikea the homewares store didn't open until 10, so I joined the crowd in Ikea Cafe. The hot breakfast looked really good and was very popular. I just had my free (for Ikea Family card holders) bottomless cup of coffee and a 'nana. The 10am announcement was made over the PA, the barrier tapes were removed and the crowd descended upon the various departments. My mission today was plants and pots for them. That's the thing about being on holidays in rainy weather. You tend to stay at home looking around the house for things that need to be replaced or done and I found the front verandah lacking in the pot plant department. By the time I got home, the weather had changed to humid with a touch of sun. It was fizzy beverage weather. Suprise, surprise! No champagne involved. 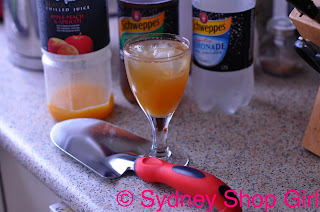 I had an improvised Fruit Punch using fruit juice, ginger ale and lemonade. I took it to the verandah and got to work. A minor miracle! I successfully followed the pictorial Ikea instructions to assemble my pots. They are those fancy self watering ones. Don't worry, I didn't forget about good soil drainage. I added some rocks to the base before putting in my potting mix. Lush pot plants at Ikea - who would have thought? There are even helpful care tips on the labels. 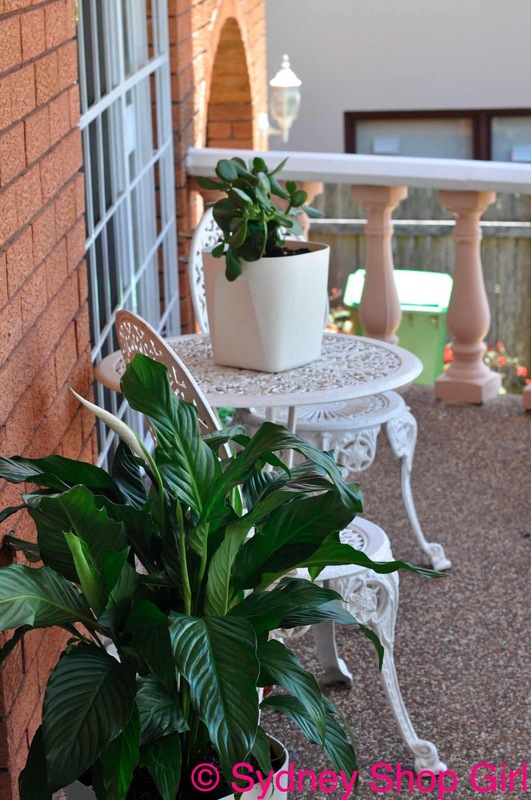 And there we have it, my peace lilies and a money plant. Auspicious choice of plants for the coming year. I'm kind of obsessed now. The plants made it feel so peaceful sitting out in the sun this afternoon. It eased the pain of my NAP parcel still being with DHL (they texted me to say that they are unable to leave NAP parcels at unattended addresses). 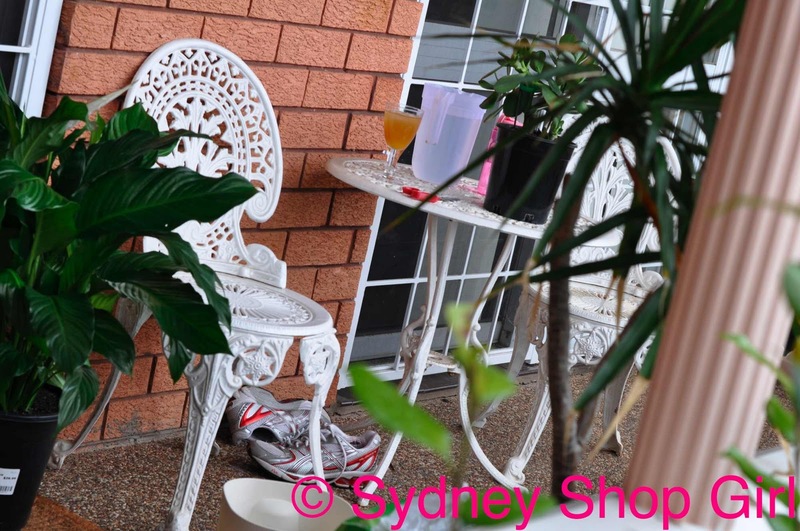 I think we can still fit a few more pot plants on the verandah. Might find them this weekend. 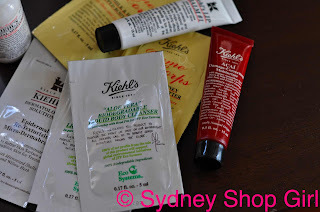 So, as I can't write about my Bayswater, I guess we will have to move on to my Kiehl's face cream situation. This is a sorry sight readers. I'm officially all out of the Lycopene cream. It's discontinued. I really like it. It's really moisturizing for a lotion-y kind of moisturizer. Not as heavy as the Lycopene cream. 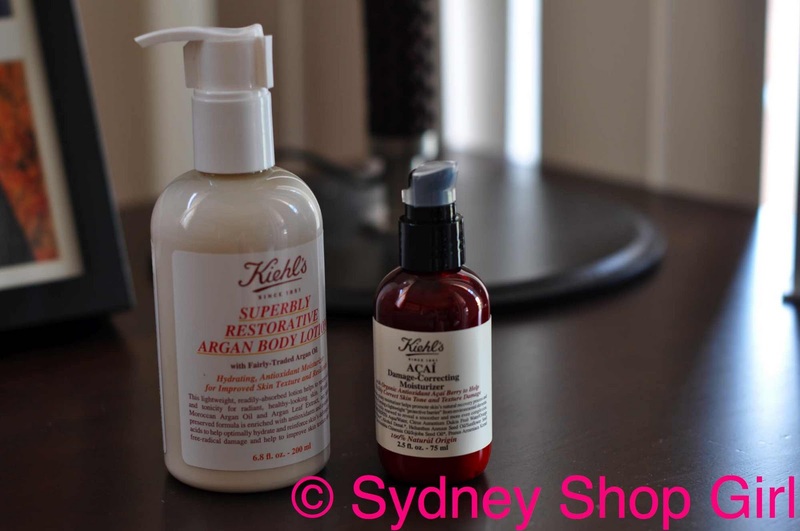 Skin felt just as soft and smooth in the morning as it did with Lycopene. I'm using the Acai moisturizer over the Midnight Recovery Complex. Yep, even in summer. I have such dry skin. Coincidentally, I've just started eating lots of fresh blueberries. By the punnet. The punnets in NY are at least twice the size of the ones here and the blueberries are massive. I remember the first time I ate them fresh. 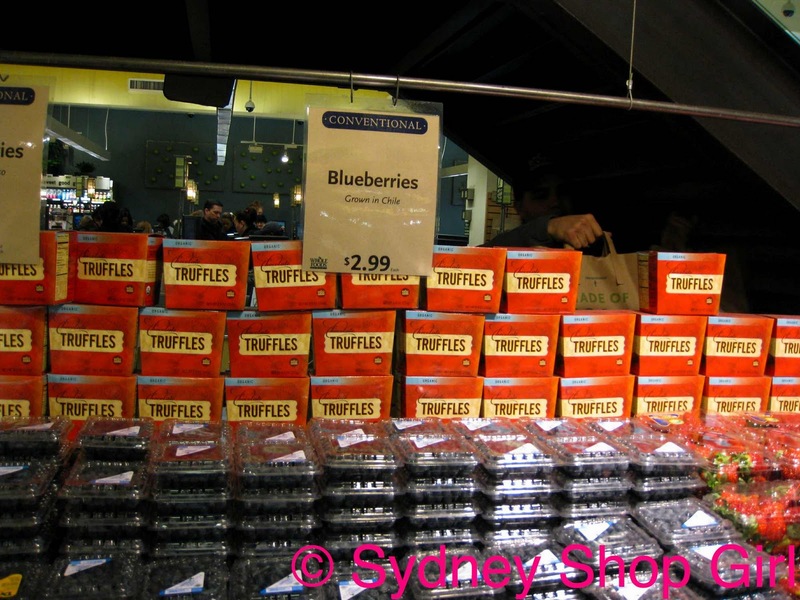 It was in New York and we got the punnet at Whole Foods. Mr SSG and I were so excited about all the fresh food there, we went overboard and bought a crazy amount of food. 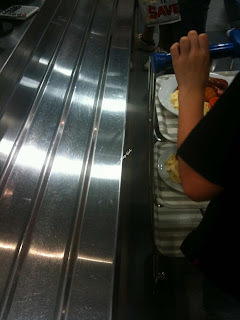 We also did the same thing at Dean and Deluca. 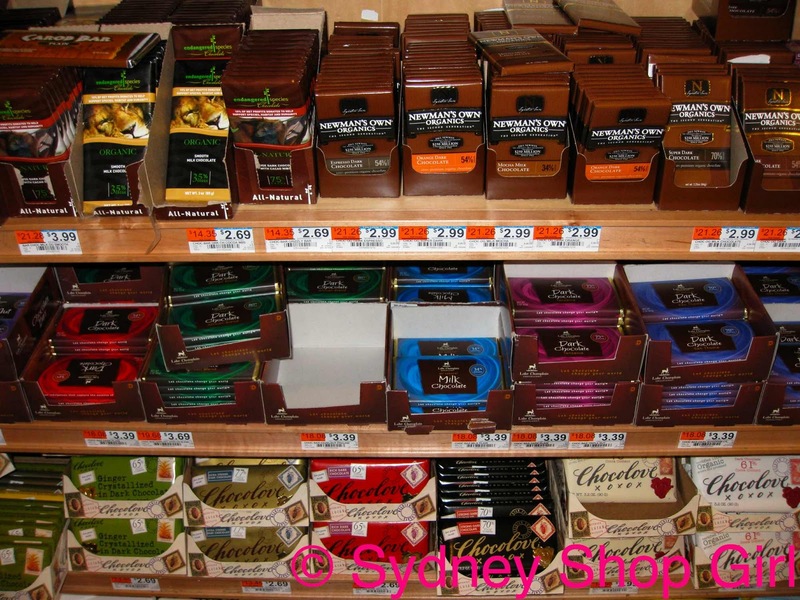 New York food stores do that to you. In fact, all New York stores do that to me. 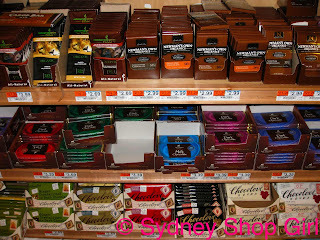 A whole aisle of organic and healthy chocolate at Whole Foods. 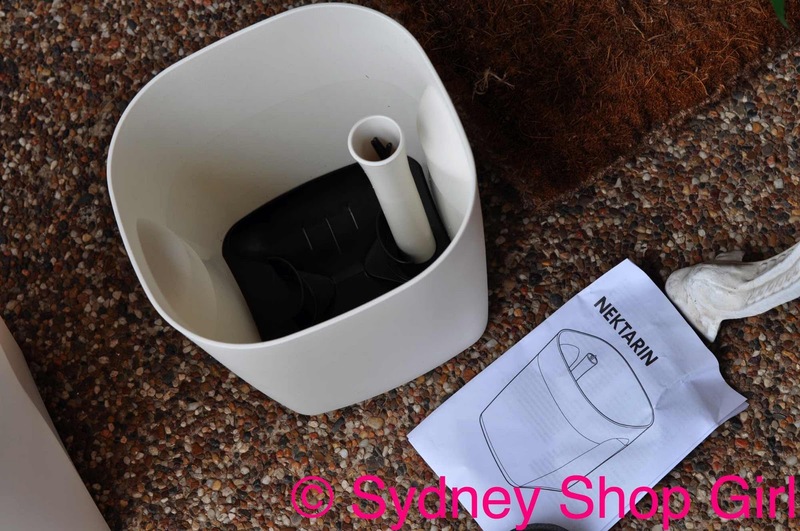 I know that the big department stores of Australia aren't exactly in many people's good books at the moment but there are staff in some areas that really do try to be helpful. 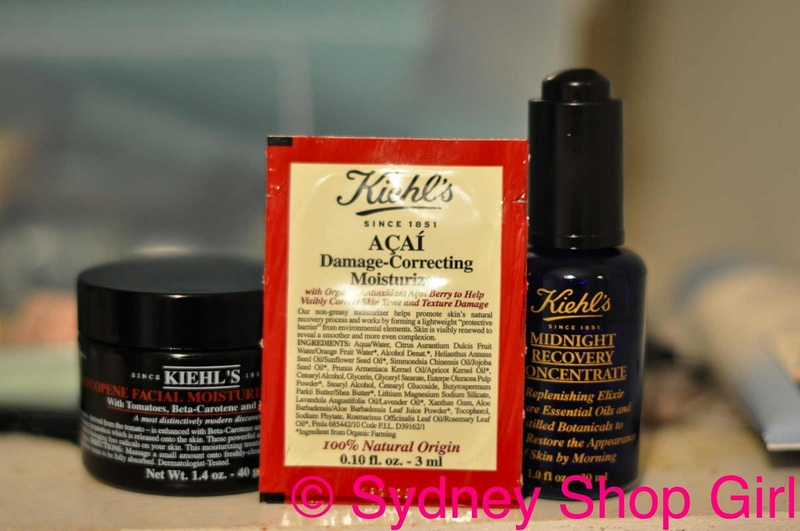 I went to Kiehl's at DJs in the Sydney CBD to get my full sized Acai moisturizer and something to use as a hand cream, but it had to come in a pump pack. I settled on the Superbly Restorative Argan Body Lotion. I think Argan is an oil but it does sound like it comes from another planet. Unfortunately, Brad's message failed to shed any light on how he and Ange cope with all their children on their numerous transatlantic flights. 24 hour, in flight nannies is my guess. As usual, the sales assistant wasn't backward in coming up with the samples. 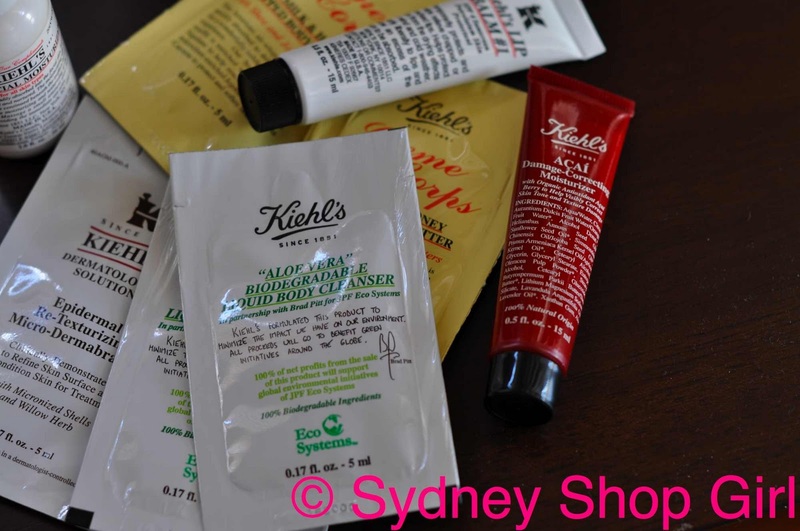 I ended up with a tube of lip balm as well. I think it had something to do with the empties I was returning. Did you know that Brad Pitt endorses Kiehl's? His autograph and a short message from Himself grace the front of the new Aloe Vera biodegradable body wash. I'm off to have dinner. I've rediscovered Donna Hay. It's back on. Have a lovely weekend. 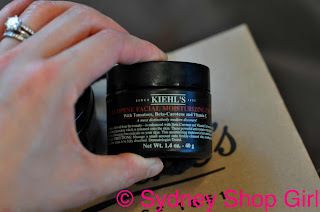 I've never tried Kiehl's so must put on my wish list. Just love your new haircut SSG. Love that you did a test run. 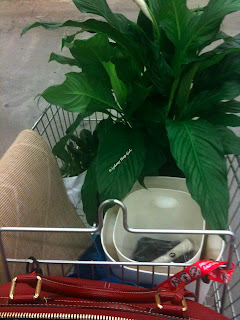 Also love that it involved an Ikea pit stop.